Winter is descending on us once again, and mother nature has turned a blind eye to die hard water sport enthusiasts. The cold morning air invites goosebumps and the bitter, piercing winds bring shivers into the minds of boaters. Once that boat has been winterized, there is no turning back. Winterizing your boat is like the final nail in the coffin that you will be smothered by for the next three to four months. The metaphoric coffin that keeps us landlocked during the late months can consume your attitude for improvement. What are we supposed to do without our boats or wakeboards? Simple: go whip yourself into shape. It’s not about being the best at exercising, and it surely isn’t a competition to see who can build the most muscle. Getting in shape during the winter wakeboard months is a very important process if you wish to continue your progression right where you left off in October. Think about this for two seconds: wakeboarding is all muscle memory, right? So what do you think is going to happen when you sit on a couch for three months eating holiday cookies and watching Prime Wake Movie on repeat? Don’t be lazy! Being lazy kills your drive and forces you to go stagnant, but there are a few things you can do to prevent these bad habits. One really good way to stay in shape is to join a gym, or make one at home. The gym gives you a reason to get off your couch everyday, and if you’re not looking to spend that kind of money you can make a gym at home. It’s very easy to take an old wakeboard handle and string a few weights on the end of it. This mimics the motion of pulling the handle across your body and behind your back with a resistance force. Using this workout can really help maintain a muscle memory for handle passes, and the heavier the weight, the faster you will spin once you return to the water. Wakeboarding focuses a lot on core strength and balance, two things that can be found in both yoga, and stand up paddleboarding. Yoga is a great way to learn patience, balance, and focus; all while strengthening your entire body. The combination of stretching and balancing in different positions allows you to focus on multiple aspects of progress at once. If you don’t mind the cold and have decent balance, take your yoga to the paddleboard. There are classes centered around paddleboard yoga, as well as paddleboard racing. Your core is your lifeline in wakeboarding, but there is one aspect of physical fitness that trumps all others.. Yes, the dreaded cardio workouts; the running, the swimming, the biking, it’s all something most of the sane world considers punishment. Whether you view cardio as punishment or not, it is still the most important aspect of off season training. What is the point of working out all winter long if you can’t wakeboard for more than five minutes because your lungs decided to take the day off? If you’re huffing and puffing before your warm up pass is even over then you’re going to be in a world of trouble when you can’t stop gasping for air in the middle of a whirlybird. I know it hurts, and I know you hate it, but lace up your shoes and hit the block a few times a week. It doesn’t have to be anything fancy, but getting up to go run will make a huge difference at the end of the season. The biggest challenge is commitment. It is very important that you find a series of activities wakeboard related. Ask yourself, “how is this going to help me be better on a wakeboard, what part of my game will this sharpen?” However, the best advice I can give on dealing with the winter cold is this: Don’t be lazy! Run, drink lots of water, eat a bunch of peanut butter, and do not slack off. Create a work out plan and stick to it, do not let the cold weather stop you from pushing yourself to the next level. PSA: IT’S HALLOWEEN!!!! Which means our Marketing Department here at Memphis Boat Center has come up with a little Halloween wakeboarding video. The video was produced by Enrique Martinez, and all footage is of the Mississippi State Wakeboarding team, watch the video below and Happy Halloween from all of us here at MBC! When I was a freshman in college I really wasn’t sure what a wakeboarding team was. I knew how to wakeboard, but I did not understand the concept of wakeboarding as a team. The sport of wakeboarding is a very individualized sport but the more I looked into it, the more intrigued I became. 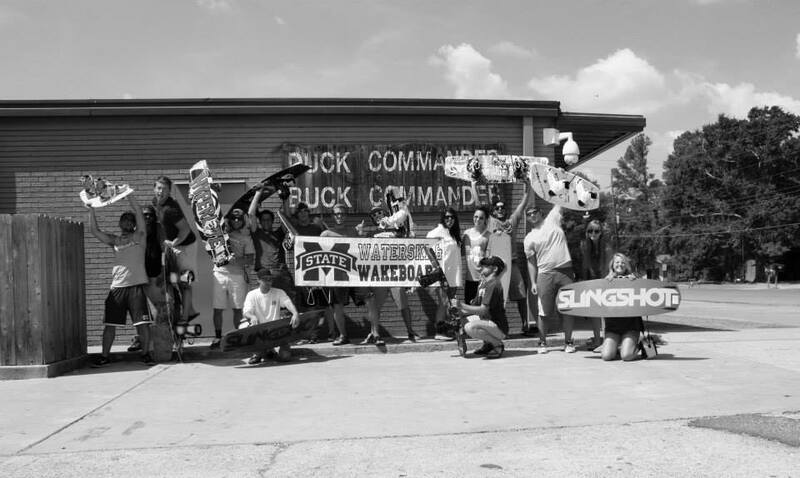 The sport had its largest collegiate growth in the 90’s and early 2000’s, but as wakeboarding begins to crawl back into mainstream media, collegiate teams are resurfacing all over the country. Whether you are in Arizona or the Sunshine State, collegiate wakeboarding teams are forming all over the country, and they are forming fast. Mississippi State was the first team in Mississippi to join the college wakeboarding boom, followed shortly by Ole Miss and Southern. 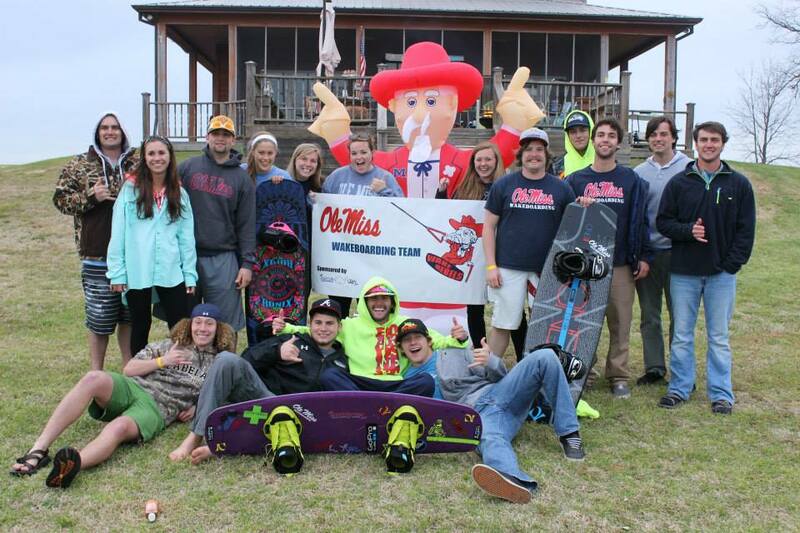 These teams compete in the Louisiana Collegiate Wakeboarding tour and have been friendly rivals since 2012. Before the wakeboarding boom reached me, I was completely oblivious to a community of athletes who spend more time cracking jokes than training for competitions. “It’s like a giant family,” said Ole Miss founder Ben Burch. “Going to competitions is like going to a family reunion.” I once heard somewhere that a wakeboard competition was ‘ninety-nine percent fun, and one percent business,’ and I assumed that one percent involved your actual run. The competitions reflect the attitude of the wakeboarding community, they are very laid back but still have electricity about them. Each team sets up their own tented areas (which closely resemble college football tailgates) as well as camping areas, a wakeboard competition is a weekend long affair. The teams consist of men and women, and each competitor has a specific division to ride in based on their skill level. There is also a wakeskate division that showcases the skaters for each team, but this group is a little bit smaller and more competitive. The first time I went to a wakeboarding competition as a competitor, I went with five other guys. One year later I went to another competition with a team of almost twenty riders. In just a few short years college wakeboarding transitioned from a decaying social club to a booming network of fierce competitors. These men and women work hard on the water and behind the scenes to promote their sport and make a name for it. As a new year approaches for competition season big things are beginning to happen for collegiate wakeboarding. College wakeboarders and their teams are usually self starters, and a lot of the teams pay out of their own pockets to keep their clubs alive. 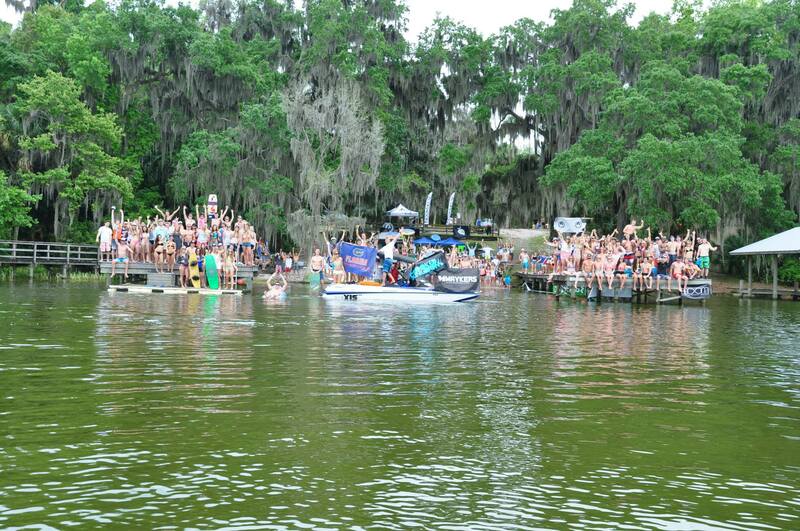 Through competitions like Florida’s WakeFest or the Bulldog’s back to school bash these men and women raise money to keep doing what they love. I did not realize the world of college wakeboarding was so complex, and I did not realize how much I would fall in love with the sport. It was never about winning, and it was never about beating the “other team.” It was always about growth, and what we could do as teams, and as individuals to further push our beloved sport further into the limelight. Camping, the Memphis Boat Center Way. The first weekend in October is a special time of year. Football is in full swing, the Fall weather slowly begins to creep in, and the crew at Memphis Boat Center prepares for a camping trip. This trip has become an annual tradition for MBC, and it almost represents the closeout to wakeboarding season. Members of the Mississippi State Wakeboarding team joined Enrique Martinez and the Memphis Boat Center Axis A24 Vandal at Piney Grove in Bay Springs for a weekend full of camping, wakeboarding, and above all else: disconnecting. 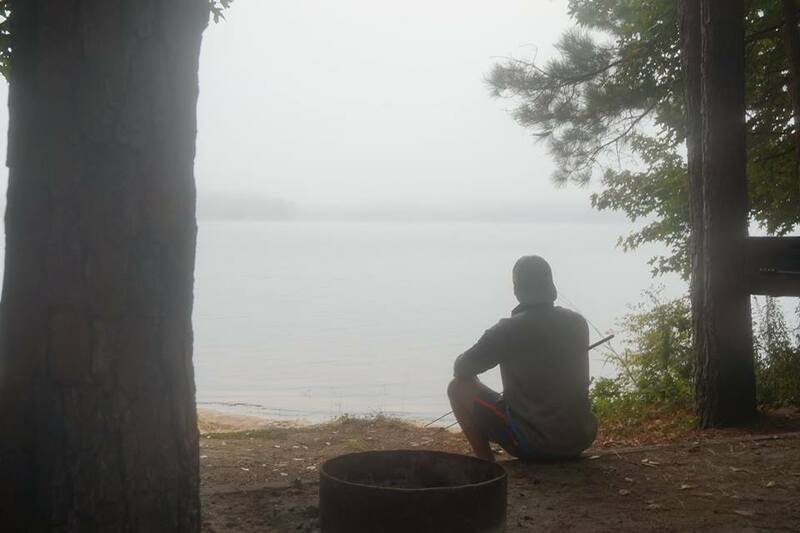 Growing closer to nature and growing closer to God was on the agenda for each individual on the camping trip. These men and women were not going to let their smartphones distract them from truly appreciating what they had in front of them. Whether they were cooking bacon on a hot stone or paddle boarding at sunrise, these campers knew exactly how to get the most out of their time in nature. “I looked up at the sky and the people around me and I couldn’t help but feel happiness and I thank God for all he has given me,” said Martel. 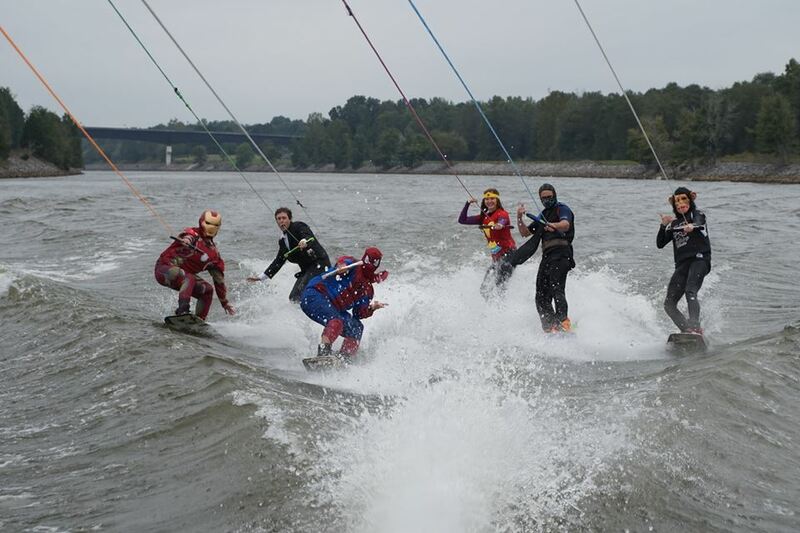 Be sure you stay tuned for a Halloween edit featuring the Mississippi State Wakeboarding Team! 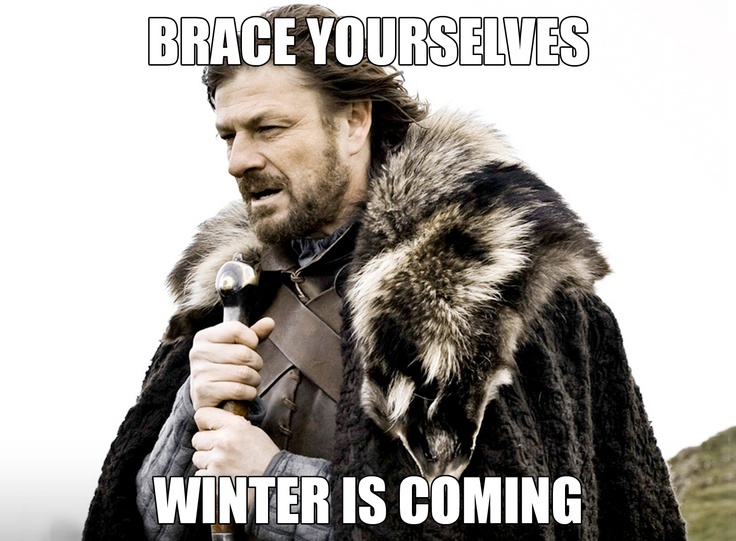 Let’s get one thing perfectly clear: Winter is coming. It’s almost time for everyone to winterize their boats, hang up their ski’s, and stuff moth balls as far into their wakeboard bindings as they can go. The Fall/Winter months of wakeboarding (and any other water related activity) can become a grueling stage of life for the more serious shredders, so you need to find other things to occupy your time. Yes, it’s extremely hard to stop “the itch” while watching the newest wakeboarding edit from the Phillipines, or Orlando, but here are a few things that you can do to speed through the long off season. First things first, if you really want to extend your season there’s only one way to do it: wet suits. A good wet suit will help any serious water sport enthusiast prolong the practice of his craft. However, a wet suit can be very expensive, and if you get one too thick you’ll look like Frankenstein trying to jump a wake. In my opinion the best option for a full wet suit is a 3mm/2mm full body suit. The 3mm stands for the thickness of the torso area (in millimeters) and the 2mm stands for the arms and legs. 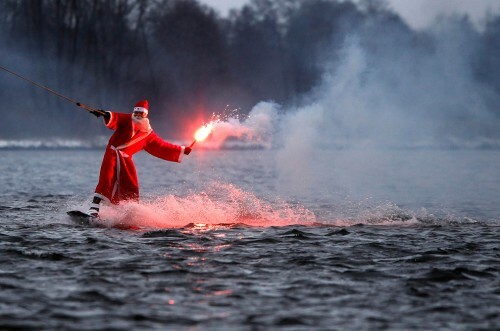 Personally, anything thicker is a scuba suit, and if you really want to go there just upgrade to a dry suit. When it gets too cold for a wet suit you can trade that neoprene in for some canvas and tent poles because nothing screams family bonding like a weekend adventure into your favorite patch of the woods. 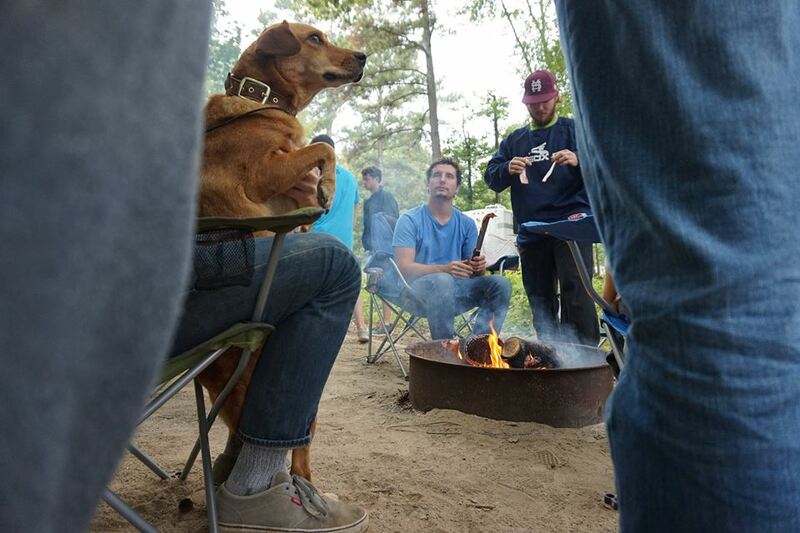 Camping trips are a great way to get closer to nature and the band of hooligans that decided to accompany you. If you have a team or shop that you like to ride for go camping with them, its a great opportunity to get even closer with your wake family. Cold weather and cold water usually spell out disaster for athletes who only rely on water sports as their primary source of exercise. I know that going to a gym seems repetitive and a lot sweatier than wakeboarding, but staying in great shape and preparing yourself for the spring season can really benefit to your riding. Running may seem like punishment, but when you can’t ride for more than five minutes because your baby lungs gave out, don’t go home crying. If you think a gym membership is too expensive, tie some weights to an old wakeboard handle and always remember that push ups and sit ups go a very long way. The biggest cure for the Fall Freeze is snowboarding. Skiing and snowboarding trips are almost as fun (if not more) as trips to the lake. If any of you are like me, you love to stay on a board. Snowboarding trips can get pretty expensive, but when you live on a budget you can find cheaper options that allow you to experience the same thrills you get behind the boat. Also, snowboarding is a great way to keep your balance and aerial awareness in check. To be completely honest, cold weather is the worst, just the absolute worst. Unfortunately living within the demographic that we have chosen, we still experience very chilling winters. Surviving these “dry months” as I like to call them is a daunting task. It requires patience, resilience, and an adventurous spirit to handle months without wakeboarding. When December rolls around and your boat is in storage don’t just sit around and mope about being dry all the time; go to the gym, take your boat buddies camping, or man up and get a wet suit. After all, March is right around the corner!